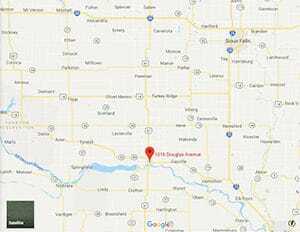 Location: Located in southeastern South Dakota, 60 miles northwest of Sioux City, IA and 85 miles southwest of Sioux Falls, SD; off U.S. Highway 81. Background: FPC Yankton opened in 1989. A former college, it houses inmates who do not have a history of escape, violence, sexual offenses, or major medical or psychiatric problems. In 2009 Forbes magazine rated the prison as one of America’s cushiest prisons. Notable inmates include former Mormon Bishop Shawn Merriman (serving a 12-year sentence for mail fraud) and film director John McTiernan (released in February 2014 after serving 328 days for perjury). Housing: Inmates are housed in dormitories consisting of four to twelve-person cubicles. Health Services: Health services at FPC Yankton include medical and dental sick call, emergency services, medication, routine dental care, chronic care, eyeglasses, and eye exams. In order to be examined by a healthcare professional, inmates must submit a triage form and wait to be placed on call-out. Emergency medical care can be obtained by approaching any staff member and requesting assistance. Psychology Services: The Psychology Services department offer basic mental health care to inmates. This care includes screening, assessment, and treatment of mental health problems, individual and group counseling, psycho-educational classes, self-help and supportive services, and referral to Health Services for medical treatment of a mental illness. Care can be sought either at open house or by submitting an Inmate Request to Staff. Residential Drug Abuse Program (RDAP): FPC Yankton houses a Residential Drug Abuse Program (RDAP). It also offers drug abuse programs, CHOICES (a drug awareness program), a Drug Abuse Education course, and the Non-Residential Drug Abuse Program (NR-DAP). Education Services: FPC Yankton provides literacy, GED, and English-as-a-Second Language (ESL) programs. An incentive award system has been established which recognizes achievement at intervals within the literacy program with special recognition upon achievement of functional literacy. Incentives include consumable items, such as popcorn and sodas, for satisfactory progress toward literacy goals or for periodic classroom achievements (e.g., hardest worker, best test score, perfect attendance), $25.00 award for successful completion of the GED or ESL program, and public recognition, with name and picture placed on a plaque within the Education Department. High school diplomas and post-secondary programs are available through paid correspondence programs. Advanced Occupational Education: FPC Yankton offers advanced occupational education in Accounting, Business and Financial Administration, Science, and AWS Certified Welding. Vocational Training: FPC Yankton does not offer any vocational training aside from its advanced occupational education and apprenticeship programs. Apprenticeship: FPC Yankton offers apprenticeships in Baker, Boiler Operator/Mechanic, Building Maintenance, Carpentry, Cook, Dental Assistant, Electrician Maintenance, Human Services Direct Support Professional, HVAC, Industrial Housekeeper, Landscape Management Technician, Landscape Technician, Painting, Plumbing, Refrigeration Mechanic, and Tape Recorder Repairer. Library Services: The leisure library offers inmates magazines, newspapers, and fiction and nonfiction books. The law library is located in the Education Department and contains a variety of legal reference materials for use in preparing legal papers. Reference materials include the United States Code Annotated, Federal Reporter, Supreme Court Reporter, Bureau of Prisons program statements, institution supplements, indexes, and other legal materials. Inmates also have access to a copy machine, typewriters, and the TRULINCS Electronics Law Library. UNICOR: FPC Yankton does not house a UNICOR facility. Commissary: The monthly spending limit is $360.00 with the exception of postage stamps, copy cards, phone credits, and over-the-counter-medications. Food, snacks, candy, ice cream, sodas, drink mixes, clothing, shoes, and electronics can be purchased from the commissary. Inmates are assigned a particular day of the week to shop. Recreation Services: Programs at FPC Yankton include indoor and outdoor activities and range from individualized arts and crafts programs to intramural team sports such as softball, basketball, and volleyball. Physical fitness and weight reduction programs are also available. Musical instruments are available in the recreation area for the inmate population. The musical instruments are to remain in the music room. Hobbycraft programs include activities such as painting, leather, art, and beadwork.